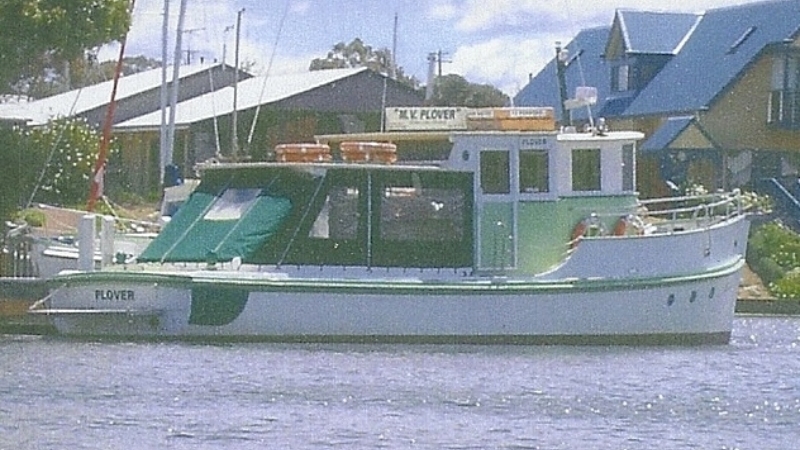 Motor Vessel (MV) Plover, one of the original Australian Work Boats from WWII, had been in service for Ports and Harbours in Victorian waters until 1986 when the department was disbanded. She then went to work for the Port of Melbourne Authority for the next two years. 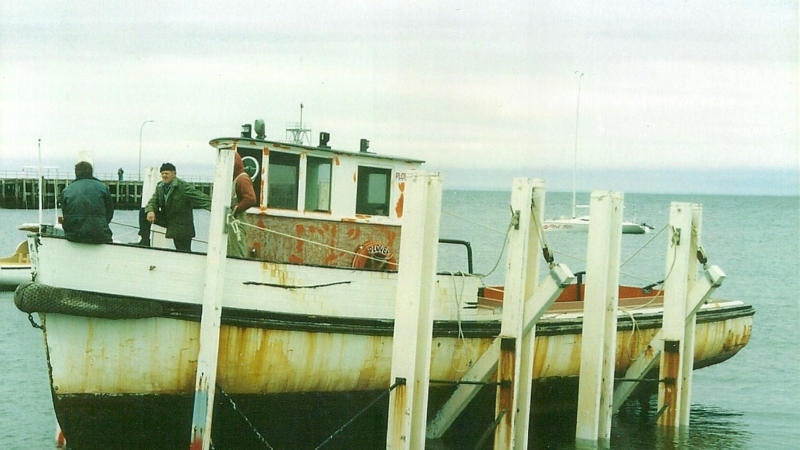 In 1988, ex Ports and Harbours employees purchased the Plover “for a song” from the Authority. Her new role for these enterprising men was to be the transport vessel for their Paterson River Fishing & Charter Cruises business. Originally she was sailed from Williamstown to Mornington for a refit and some well overdue TLC. A new shelter area was added to the stern area but generally she retained her basic structure (from WWII and the 1965 editions, as explained in part 2). As part of this new business, the Plover often made trip up the Yarra River for the annual Melbourne Cup Day. OH& S standards were very different back in the late 19th century so Plover had no protective railings and seats were minimal. 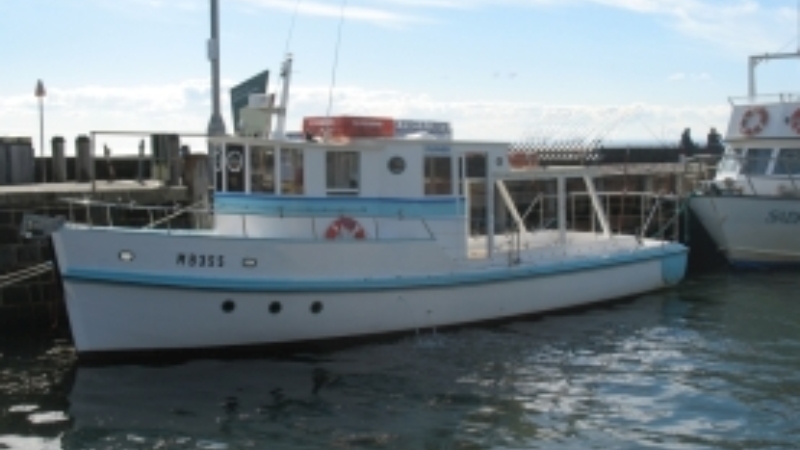 She was a rough and ready vessel but provided a sound boat for her guests and crew to enjoy the wonders of Port Phillip Bay fishing and cruising. At the start of the next century, around 2001, the Plover was sold again. This time her new home was to be Paynesville, in Gippsland Victoria. She was transported by land on the back of a truck to her new place of residence. Another refit and more TLC maintenance was also in order. 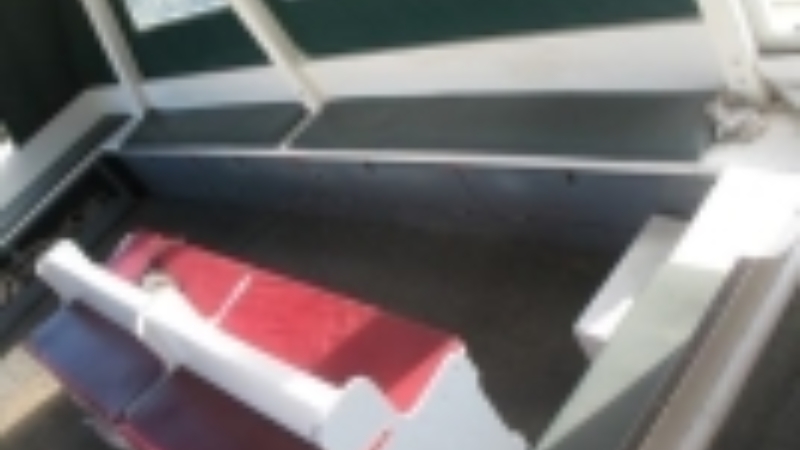 The sheltered area at the stern became a more substantial structure and heaps of seating was added as well as extra doors, shelving and canvas covers. 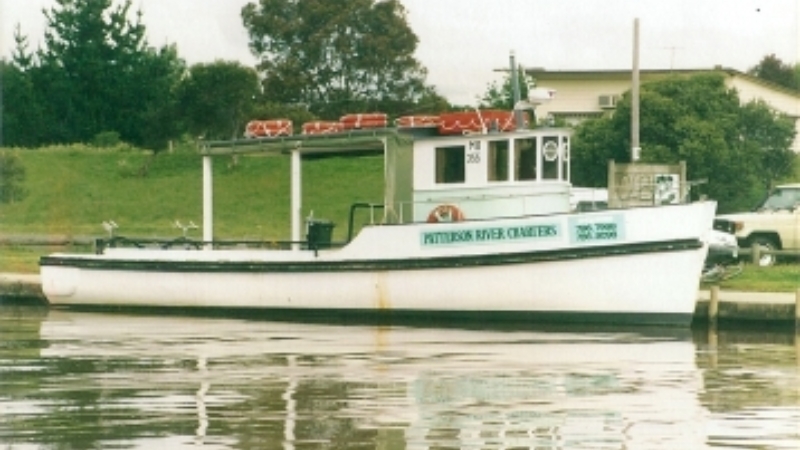 Her new transport role for the MV Plover Charter Boat business was to carry students from Paynesville to their school camps on various islands scattered throughout the lakes. When the local ferry was out of action, the Plover would be hired to transport people across the seaway to Raymond Island. A new decade and a new role for the MV Plover. 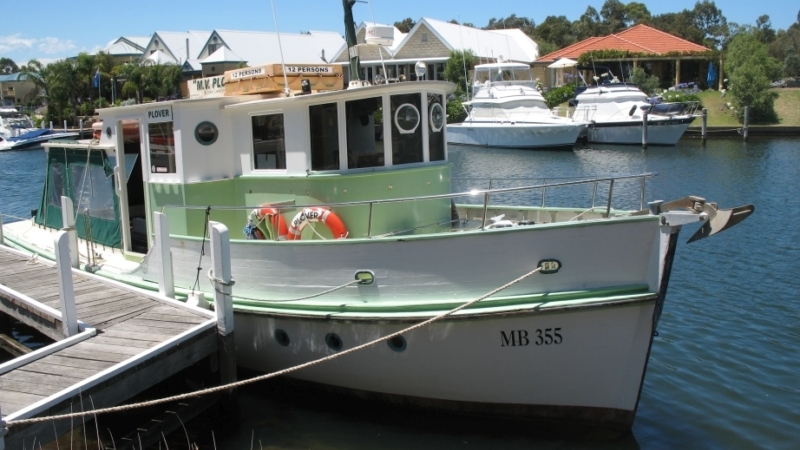 In 2010 we discovered this delightful piece of history on sale and purchased her to become the “heart of Bay Fish N Trips”. Yet another refit and some more TLC. 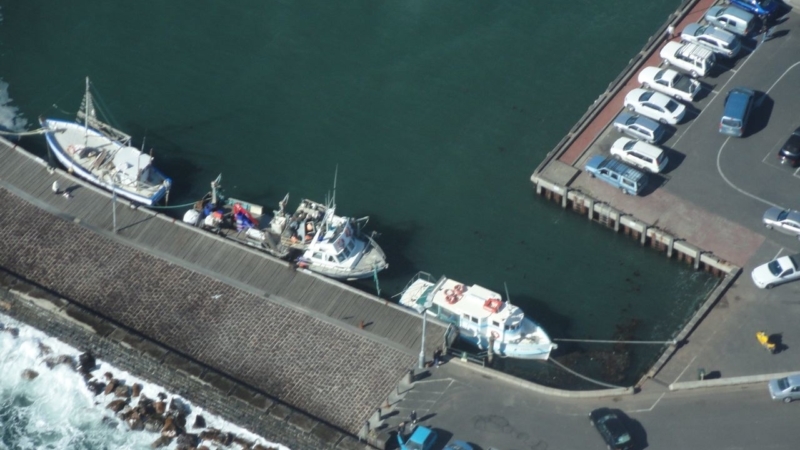 The small toilet that was in the wheelhouse was removed and rebuilt as a larger room under the aft sheltered area. The wheelhouse itself has become more functional with extra storage cupboards, an attached seat for the skipper and all older technology upgraded including a state of the art fish finder. Extra railing was added on the stern and grab rails under the aft shelter areas plus a rocket launcher for fishing rods added to the roof at the stern of the vessel. Excess seating was removed and a freezer installed. (The latter has since been move into the wheelhouse and an esky for cold soft drinks put in its place). Plover was repainted in white and blue which are more conducive colours for this fabulous historic lady of the sea. She was transported by sea to Mornington. Located on the Mornington Pier it often feels like she has come home. If only her wooden planks could talk? She has become the perfect platform for fishing or cruising on Port Phillip Bay, even better than when she worked from Patterson River. It is such a privilege to be the custodians of this classic vessel and through her we can provide fabulous memories for all who come on board.